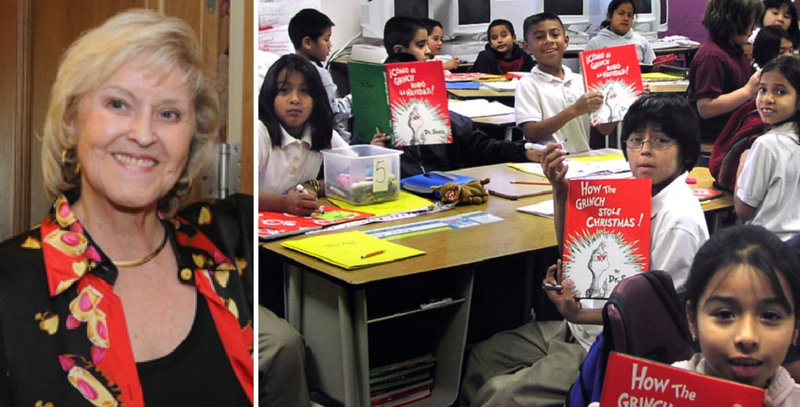 For the first time, a teacher from the Tucson Unified School District has received the 2018 Arizona English Language Learner Teacher of the Year. 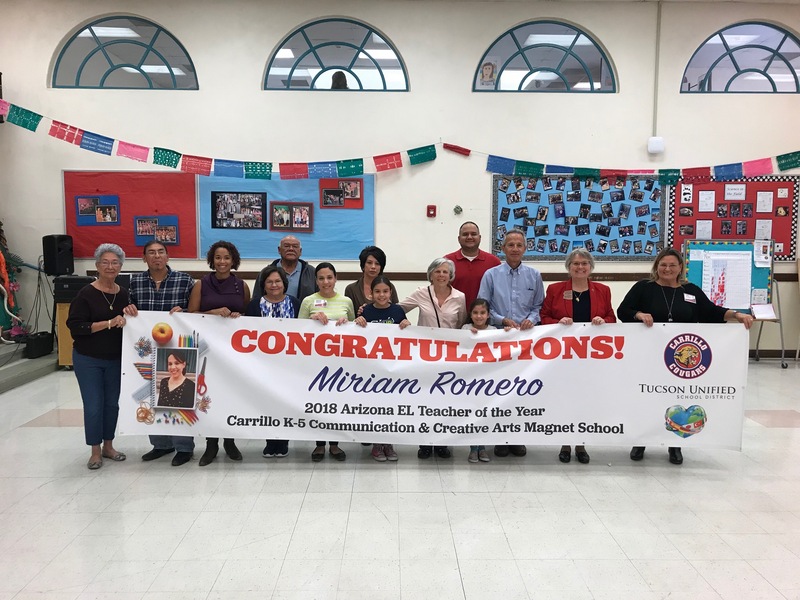 We are proud to announce that Ms. Miriam Romero from Carrillo K-5 Magnet School has been selected among thousands of teachers across the state. 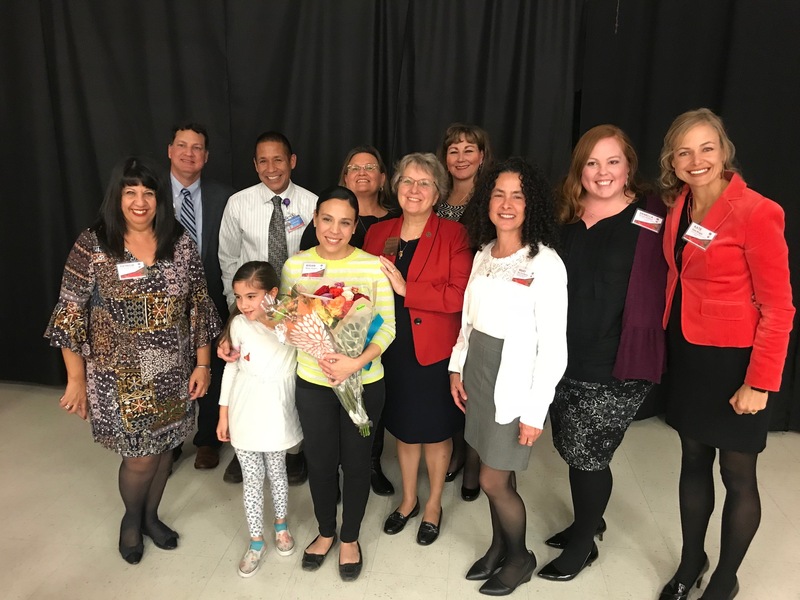 Ms. Romero was surprised with the award during a school assembly where students and colleagues celebrated her and this well-deserved recognition. 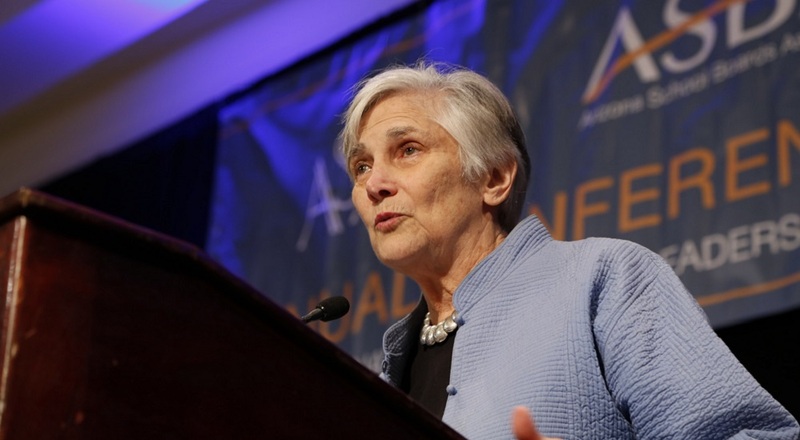 Superintendent of Public Instruction, Diane Douglas, made the announcement of this great state honor. 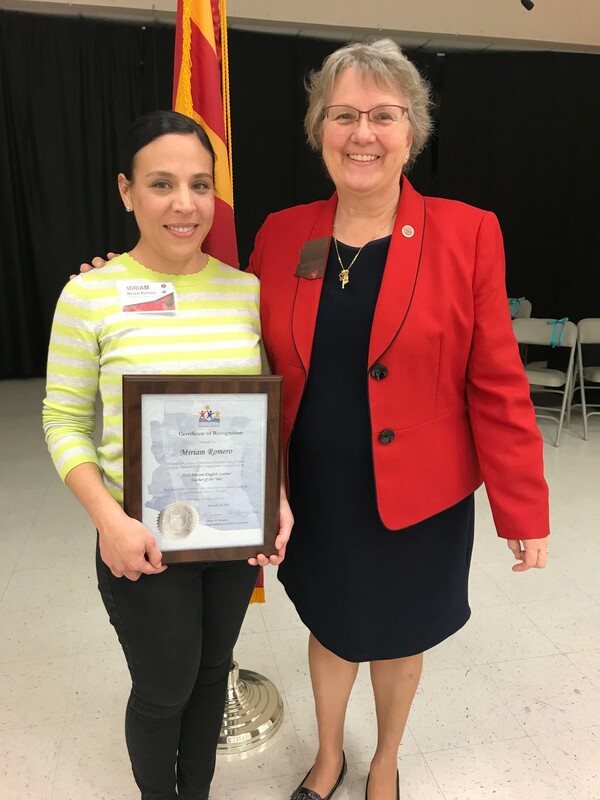 Tucson Unified School District Superintendent, Dr. Gabriel Trujillo, and Patricia Sandoval-Taylor, Language Acquisition Interim Director, were present at the event. “TUSD has never had a state winner and we are more than excited to share the news,” Sandoval-Taylor said. 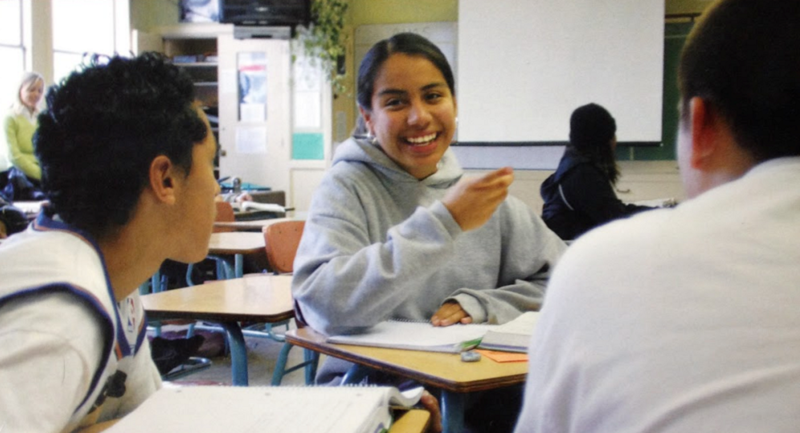 Ms. Romero will also be honored among EL teachers from across the state at the State OELAS conference in December.